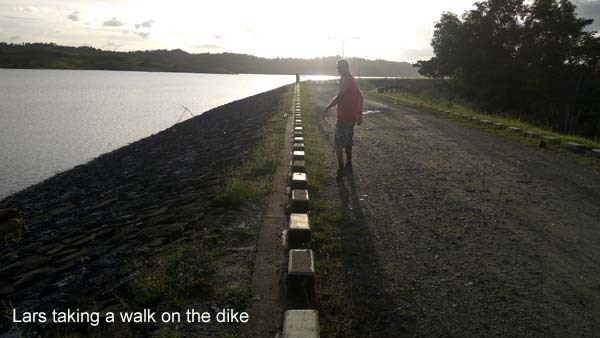 After Cambugsay Hills, Lars and I started heading for another man-made lake - Bayongan Lake. 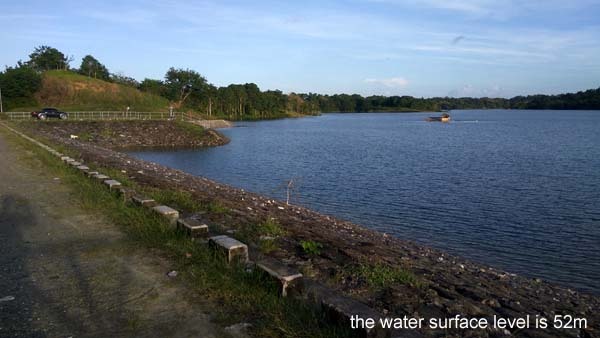 The lake was formed after damming a river in 2007 to irrigate the rice fields. 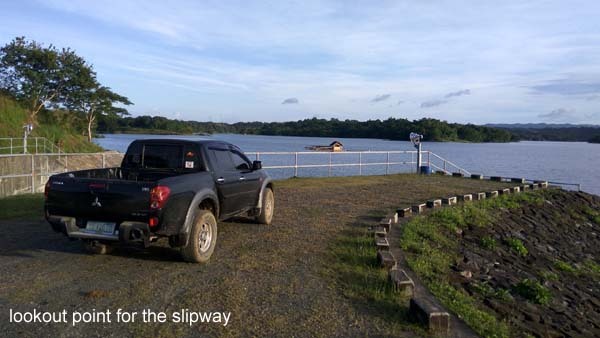 From Bohol Dairy, we veered-off the highway into a narrow dirt road parallel to an open flood canal that extended for several kilometers until it reached Bayongan Lake. 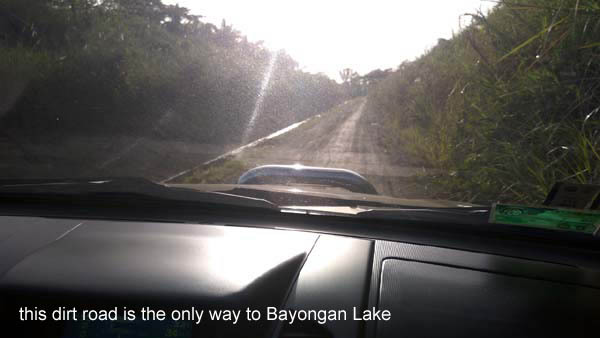 There is no easy way to get to Bayongan Lake. You need to take this long and narrow dirt road until you get there. I was amazed when we got there. 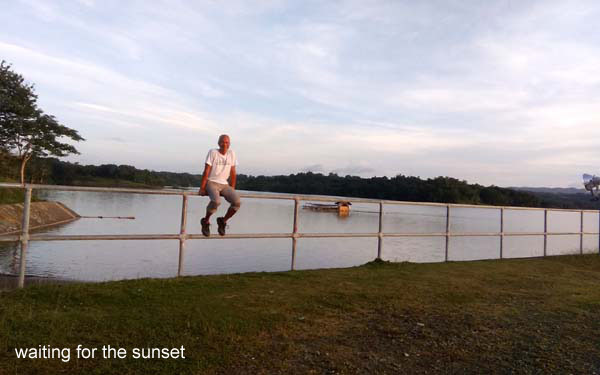 Unlike Malingin Lake, Bayongan Lake has this esoteric stillness to it. Its placid waters, calm air, open expanse, quiet demeanor and isolation were almost poetic. You would want to have your own weekend cottage by this lake. There was no one guarding it nor did I see staff. It was just there, as if made to be left alone in its quiet solitude (although the park itself is apparently well maintained). There were a handful of students with their motorbikes. Obviously, this is a popular dating place specially at dark. A little further from the dam is a nipa hut on top of a floating bamboo raft. 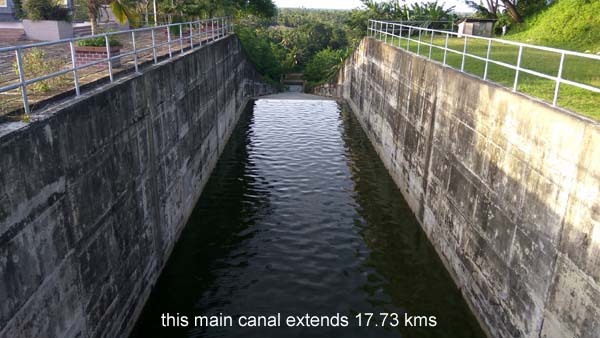 The water cascades down a sloping spout into a narrow open canal where water is fed into the rice fields. 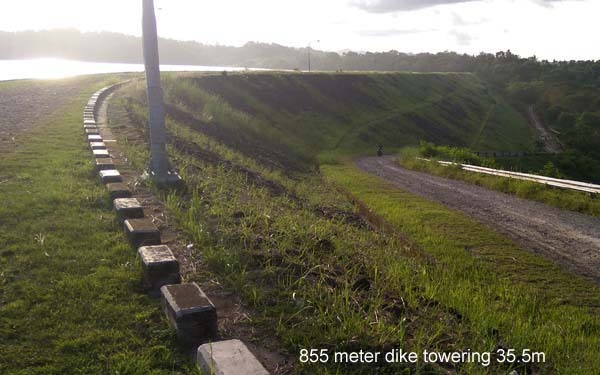 The dam itself is 855m long and 35.5m high. I couldn't help my mind race off to other possibilities. 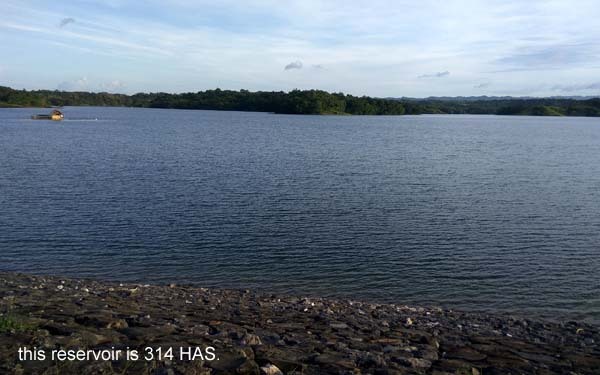 With the land's flat terrain, this could be an ideal campsite or simply a picnic spot for an afternoon chill. Again, the cottage-by-the-lake idea persisted. 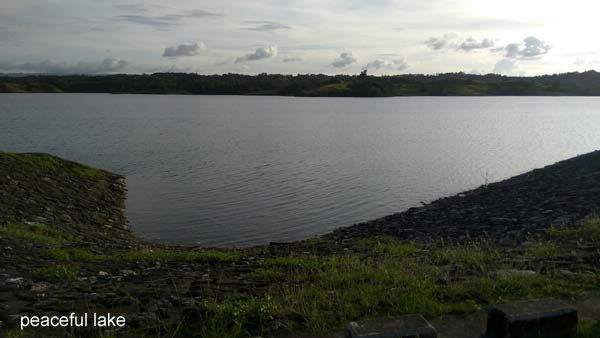 The lake could be seeded with prize-catch fish and be open for public fishing where fish is charged by the kilo. A cottage, a fishing spot, smores by the campfire, etc. This place was teeming with wonderful possibilities. Ironically, Bayongan Lake is the most fascinating thing I've seen in Ubay, and it's not even listed as a tourist attraction. It's not seen as a body of water in Google Maps and in Maps.Me, the lake can only be seen from a micro-zoom. It's too beautiful to be kept a secret. But it's not easy getting there. Should you decide to make this trip, make it in the afternoon and stay to witness the sunset and bring a picnic spread...lounge chair, chilled wine, cheese, etc. You'd be glad you did. Thank you for tagging me along, Lars! 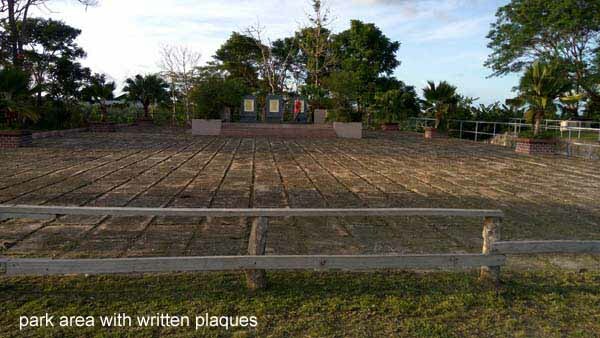 Sinandigan Boardwalk - do not go here, the boardwalk is neglected and rotting!